Jaguar Land Rover is developing a system called Safe Pullaway that uses a camera to monitor the area immediately in front of the vehicle and helps to prevent collisions. LONDON -- Jaguar Land Rover will create a fleet of more than 100 research vehicles over the next four years to test autonomous and connected technology, with the first models to hit the streets later this year. The British automaker will drive the initial models on a new 41-mile (66 km) test route on motorways and urban roads near its headquarters and plants in central England. The initial tests will involve vehicle-to-vehicle and vehicle-to-infrastructure communications technologies that will allow cars to talk to each other and roadside signs, overhead gantries and traffic lights, the company said in a statement. Ultimately, data sharing between vehicles would allow future connected cars to co-operate and work together to assist the driver and make lane changing and crossing junctions easier and safer, JLR said. 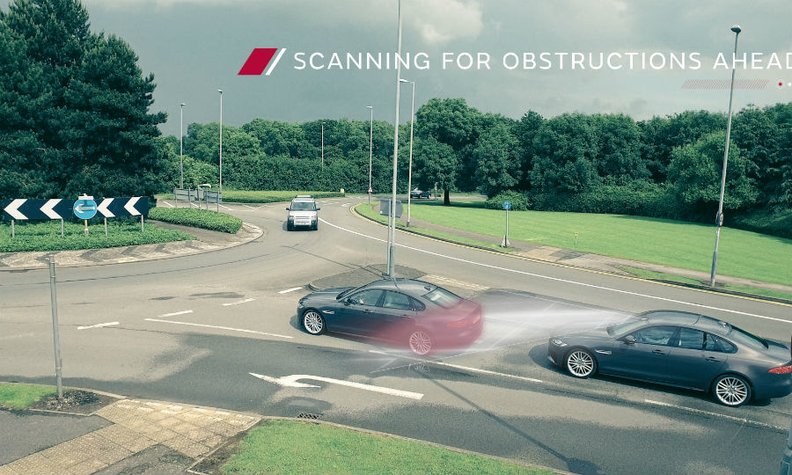 Jaguar Land Rover's Head of Research Tony Harper said the firm's technology, which includes a three-dimensional advanced view of the street ahead to recognize barriers and radio signal communication between cars, could reduce hazards. The UK announced plans in March to test cars on motorways and launched a consultation on Monday to change insurance and motoring rules as it pursues plans to allow the public to use driverless cars on the streets by 2020. Carmakers are investing billions of pounds into autonomous technology with Ford Motor already part of a government-sanctioned autonomous testing project in England and Volvo planning to test driverless cars in London next year. Nissan Motor Co. aims to build its first mass-market autonomous car at its north of England facility in Sunderland, the UK's biggest single car plant. However, traditional automakers face competition from rivals such as Tesla and technology firms such as Google, which wants eventually to be able to deploy fully autonomous vehicles without human controls. In the UK, driverless car testing will need a person to be present and able to take control should the need arise, the Department for Transport has said.